Thailand is one of the most idyllic holiday destinations with breath-taking beaches, history and culture that goes back thousands of years, exotic beauty and last but not least, outstanding cuisine. Absolute Resorts & Hotels offer the best way to experience a luxury holiday in Thailand. The consistent excellence in service, value and quality places Absolute Resorts & Hotels in the top ranked hotels in Thailand. Whatever your dream luxury holiday in Thailand, Absolute Resorts & Hotels can help you make it a reality with exclusive resorts in Phuket, Pattaya and Koh Samui. Absolute Q signature resort in Koh Samui is located close to the centre of Chaweng which is renowned for its vivacious nightlife of sophisticated cocktail bars, nightclubs and restaurants for everyone. However, if you are after a calming vacation you can just sit back and enjoy the pampering spa treatments, breath-taking sea views and authentic Thai and international cuisine. If you are looking for adventure, Samui offers exciting land-based excursions such as climbing a mountain or waterfall and exploring life under water for both experienced and new scuba divers. If you are looking for excursions with a more cultural element you can visit the local markets and the most spectacular and culturally important temples. Sailing fans can participate or enjoy the festivities of the Phuket's King's Cup Regatta. The regatta was first organised to celebrate the 60th birthday of His Majesty the King of Thailand. Since then the event takes place every year during the first week of December. The regatta is famous not only for great sailing but for the great parties and atmosphere created on the island. One of the top attractions of Thailand is the variety of cuisines from local authentic dishes to the most sophisticated international dishes. You can also find an array of restaurants that offers different dining experiences. Absolute Resorts & Hotels pride themselves on serving the best food amongst the top hotels in Thailand, with a range of cuisines that you can enjoy at the Absolute restaurants; Climax, Blue Mango and Pappadums. Taking a luxury holiday in Thailand allows you to enjoy a great shopping experience. Phuket is renowned for its shopping malls filled with top Thai fashion designers and well-known international brands. 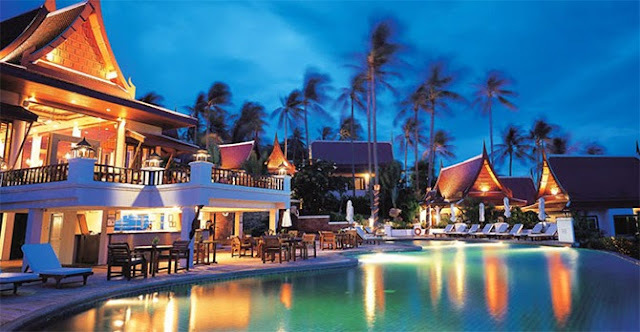 Absolute resorts are situated in close proximity to the busy centres of Phuket, Pattaya and Koh Samui.